SPMH Events provide everyone with an entertaining opportunity to experience Music Hall. These events align with the SPMH Mission to promote and provide education about Cincinnati Music Hall. 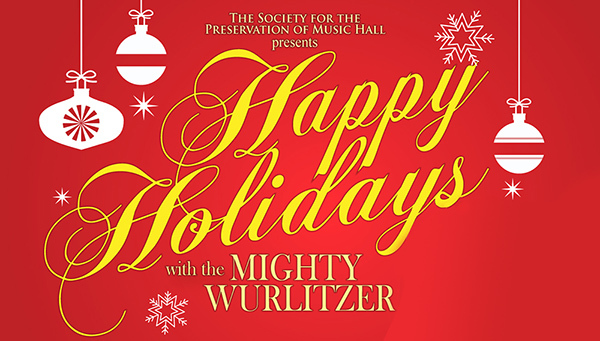 SPMH restored the Albee Mighty Wurlitzer Theatre Organ, now housed in Music Hall’s Ballroom. Plan now to attend! Celebrate the genius of Charlie Chaplin! 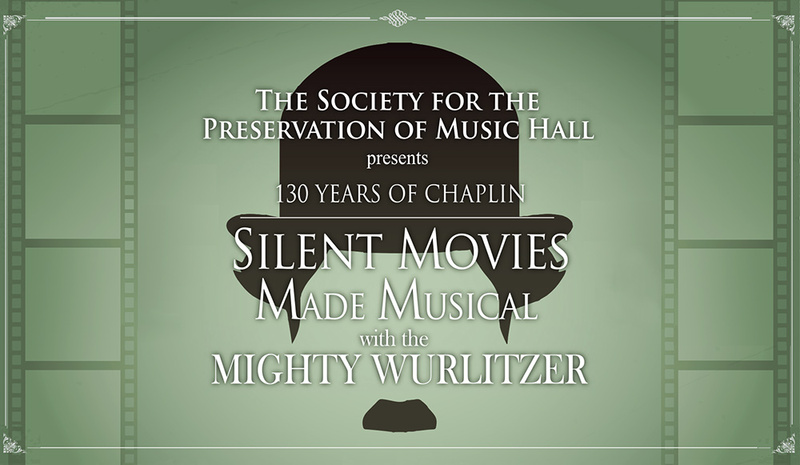 Silent Movies Made Musical with the Mighty Wurlitzer Organ is back on Thursday, May 9, 2019, and tickets are on sale now! Our new Halloween concerts provide a magical - and mischievous - good time! 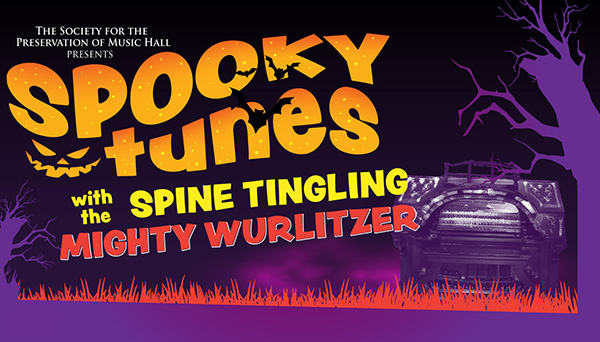 Spooky Tunes with the Spine Tingling Mighty Wurlitzer: returns with 2 concerts on October 30. 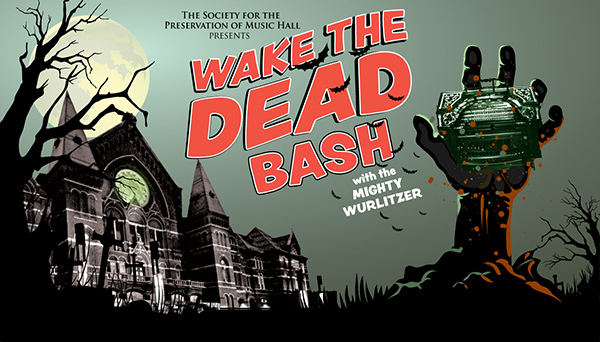 A ghoulishly delightful Halloween Party at the city's biggest and oldest Haunted House: Wake the Dead Bash with the Mighty Wurlitzer will be held on October 31 See photos from last year's inaugural event! "Music Hall Unwrapped" was held Wednesday, October 11, 2017, and revealed the newly restored Corbett Tower. SPMH used this occasion to welcome members and supporters back to Music Hall after the grand re-opening. Overall, SPMH contributed more than $5 million to the Music Hall Renovation Project, which included underwriting the restoration of Corbett Tower.